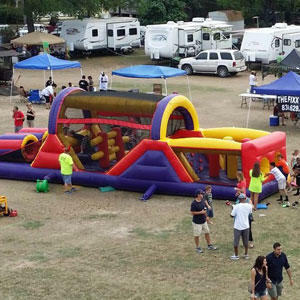 Thanks for visiting the Amanzi Houston website; the Texas leader for high quality event equipment rentals, inflatable attractions like water slide, bounce houses, obstacle courses and so much more. We now offer local, direct service for our Houston Texas customers who can now enjoy the same personalized service and rental products available throughout central Texas at our other locations. 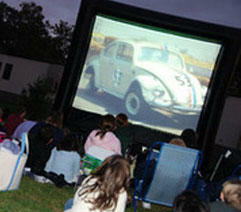 Take advantage of our easy to use online reservation and build your entire event reservation fast. You can use the menu above to get direct access to hundreds of awesome atrractions and event equipment, or you browse the features below to get quick insight to some of our exciting product categories. Ready to place your order? Add the items to the cart and fill out the form with your information. If you have a question, you can put that in the comments section and we will get back with you. Once you have placed your order, you will receive an email confirming the reservation. For your convenience, our contract will be attached. Start A reservation Now! 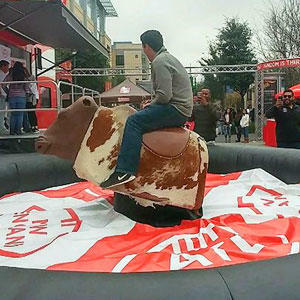 Get ready for a rip, roaring, rodeo when you arrange for our mechanical bull to be at center stage for your next event. Amanzi Houston has a variety of "Bull" styles to choose from and if need a special touch, just give us a call and let one of our event planning pros show you how we can customize your rodeo theme to suit your needs. 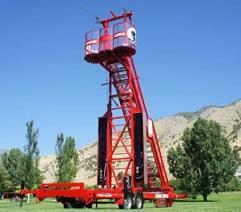 These Bulls feature the latest safety equipment and technology. They show up ready to rock! 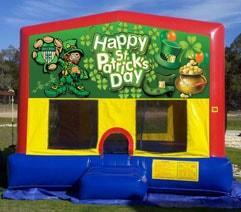 The Euro Bungee Trampoline is quickly becoming one of the most popular attractions acroos the country. 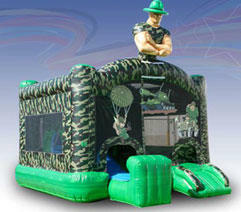 This awesome 4 station bungee trampoline is packed with pure adrenline fueled fun. 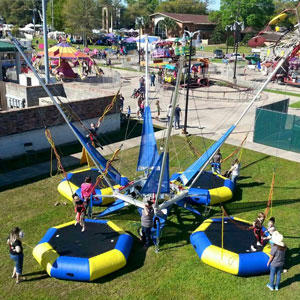 Each station has it's own trampoline and harnessed bungee lines to send your guests soaring high in to the air fo flips, and tricks, and thrills like never before. This attraction has a 2 hr. minimum and includes a ride supervisor. No matter what age group, Amanzi Houston has something for everyone. See our Toddler Playlands for your youngest guests with bright, colorful, engaging activities and themed designs. We also have a variety of challenge course that cab fit in your backyard, or large obstacle course perfect for large events, church groups, and graduation parties. 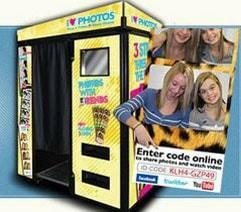 Take the challenge, crawl through tunnels, navigate popup obstacle, and see who finishes first! 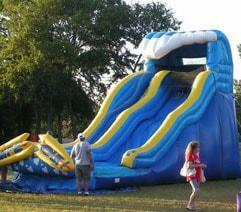 Get the best value in your rental with one of our bounce & slide combos! 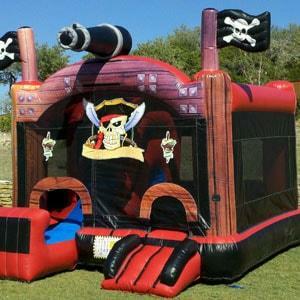 These exciting inflatables come by their name from being a "combination" of the popular bounce house and additional awesome features like basketball hoops, climb & slides, and popup obstacles. 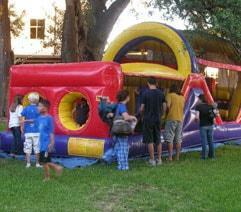 That means you get more activities in one great inflatable. 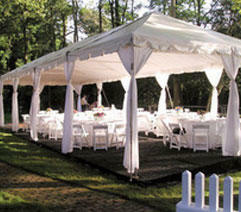 Young or old we have a style and theme perfect for your celebration. Find your perfect combo today! 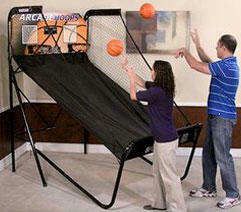 Get your team together and get ready for wild rumble with our interactive game rentals. 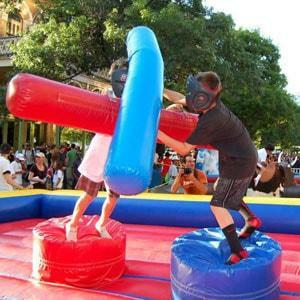 These skill based attractions bring your guests together in the spirit of fun and friendly competition. 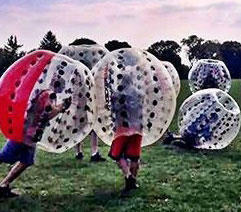 Amanzi Houston has the new Knockerball system avaialable for exciting team events, great for corporate team building activities and picnics. Simple skill challenges that are great for all ages. Find the right mix for you now!